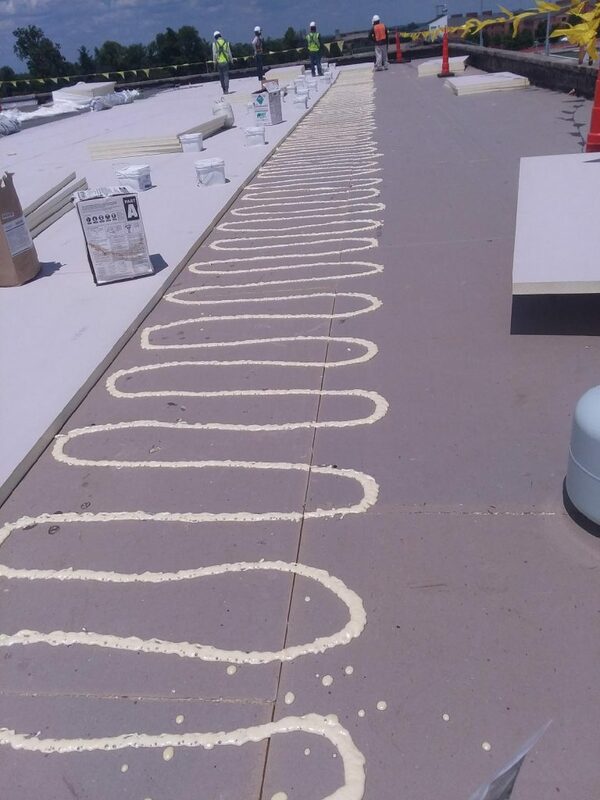 The summer months provide a much-needed break in the school year, not only for the students but also for contractors needing to complete restoration projects. 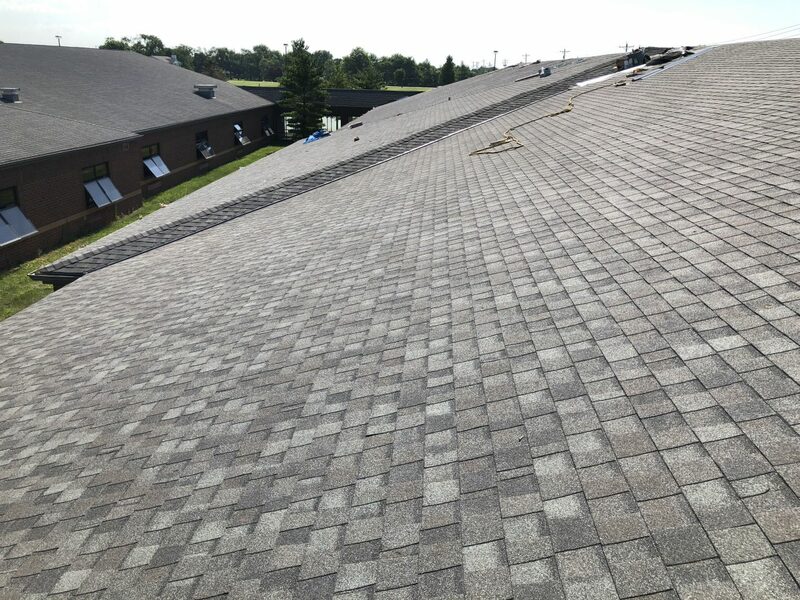 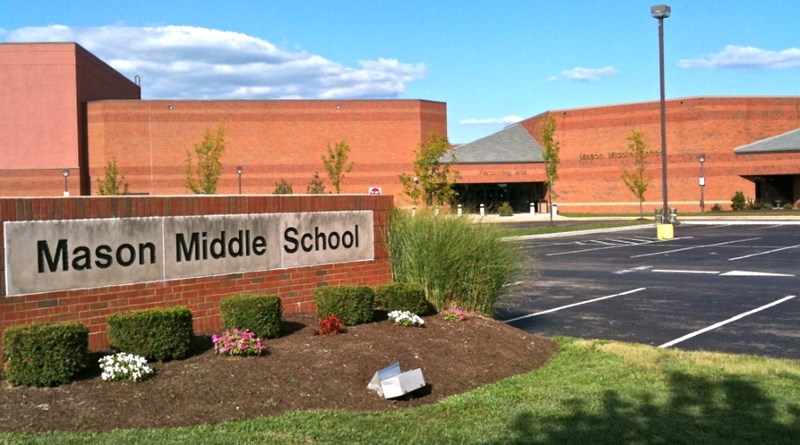 This summer, HKC Roofing is working at Mason Middle School, where we’re replacing 135,000 square feet of asphalt shingles. 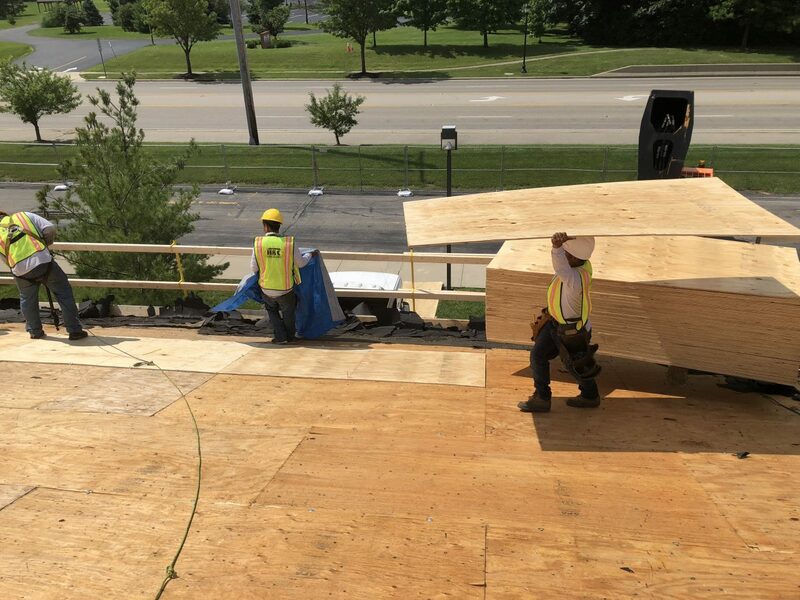 The roof is receiving all new plywood, which will be screwed in place and secured with clips to prevent movement in the future. 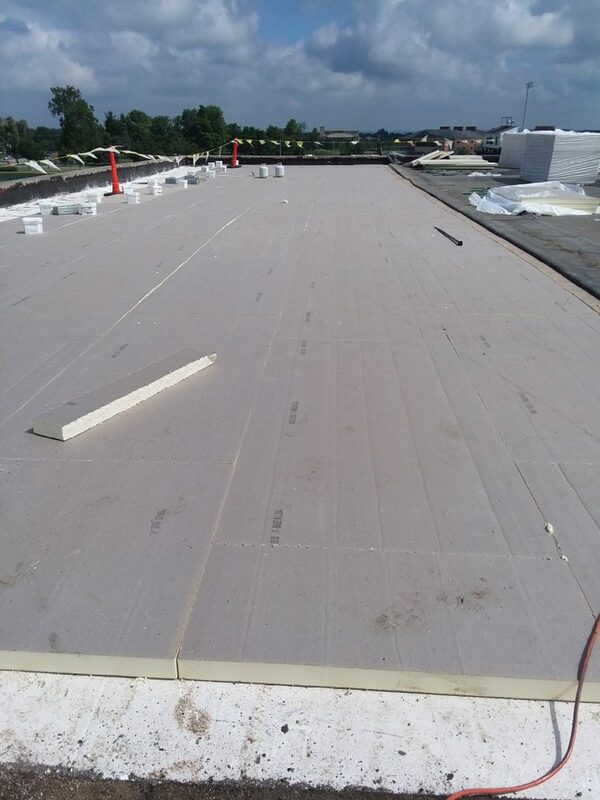 A synthetic underlayment and self-adhering ice and water barrier is being installed as an additional line of defense against mother nature. 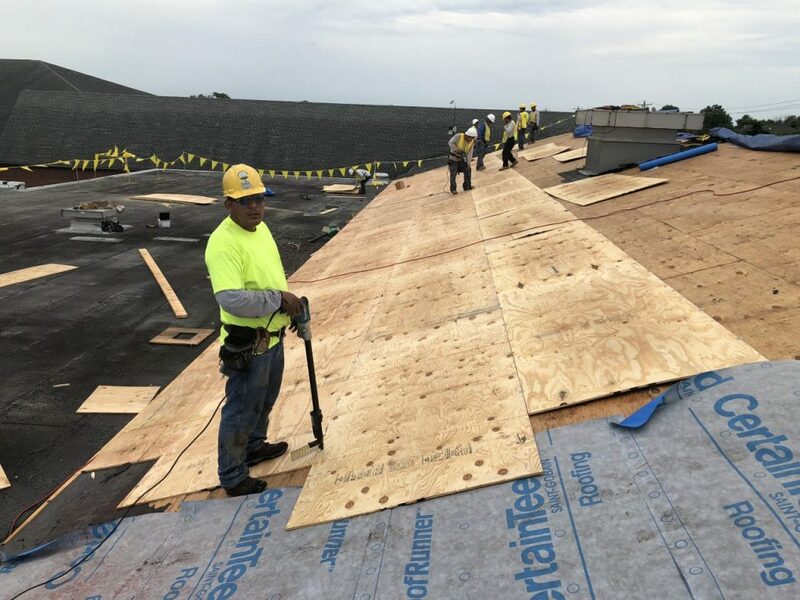 CertainTeed’s Landmark shingle, a proven performer, is being installed to compliment the school aesthetically. 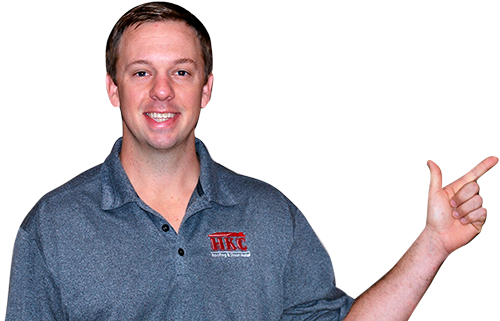 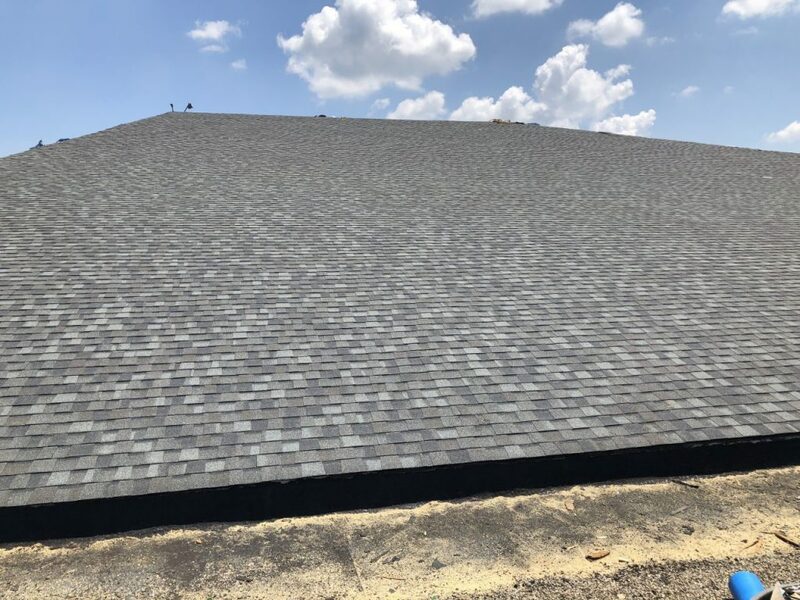 In addition to the asphalt shingles, HKC Roofing is replacing 190,000 square feet of flat roofing. 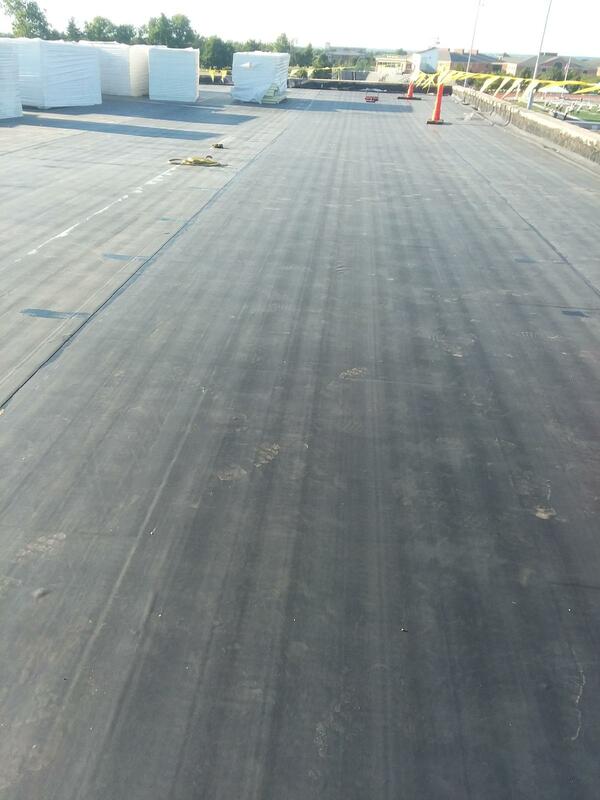 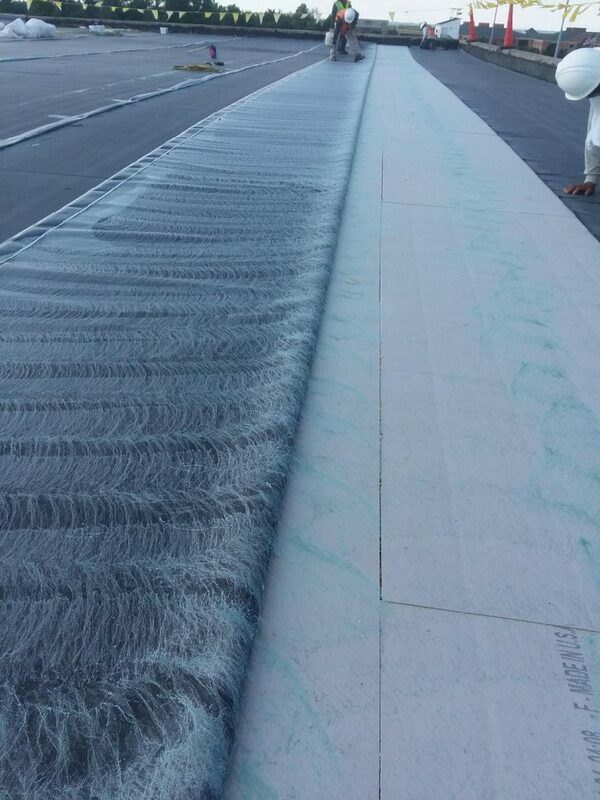 EPDM (Single Ply Rubber), has been selected and is being installed over new R-30 insulation. 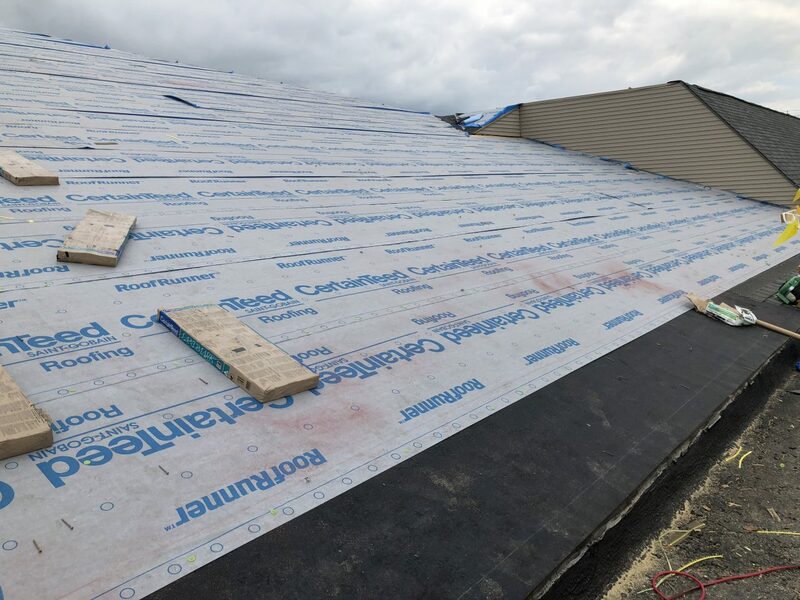 All work is being inspected by building consultants and manufacturers field inspectors to ensure the highest quality end product. 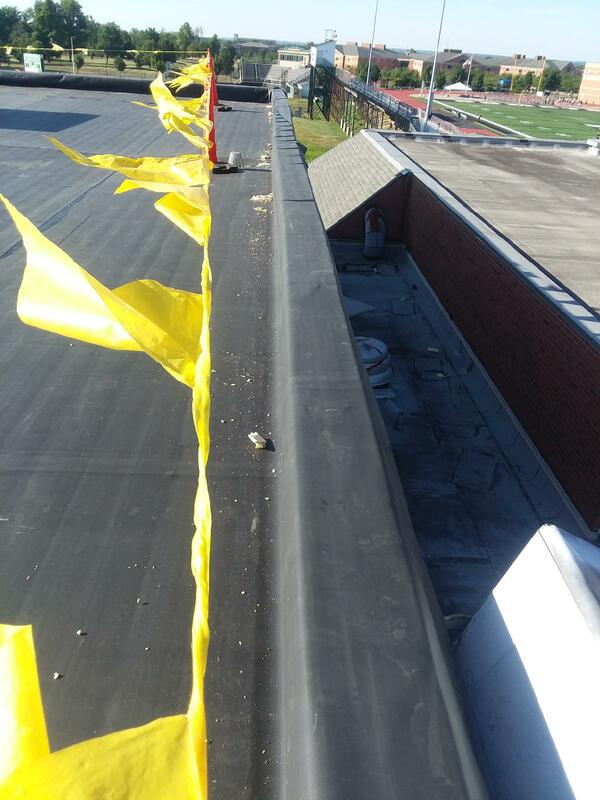 These roof systems are being supplied with manufacturers full-system warranties to protect the school district for many years to come!